Dutch cable operator Ziggo will launch is ‘free’ sports channel on November 12. Rumours about the new Ziggo Sport surfaced some tine ago, but Ziggo has now confirmed its plans. The new channel will be available at no additional cost to all digital TV subscribers of the cabler. Programming will include European Cup and World Cup qualifiers, Formula 1 racing and NBA basketball, Portuguese and Spanish top division football and live coverage of Dutch volleyball and hockey, as well as documentaries, sport related movies and a weekly sports talk show hosted by Jack van Gelder. Ziggo Sport will draw on the sports rights which are owned by Liberty global’s Sport 1 premium sports channel. 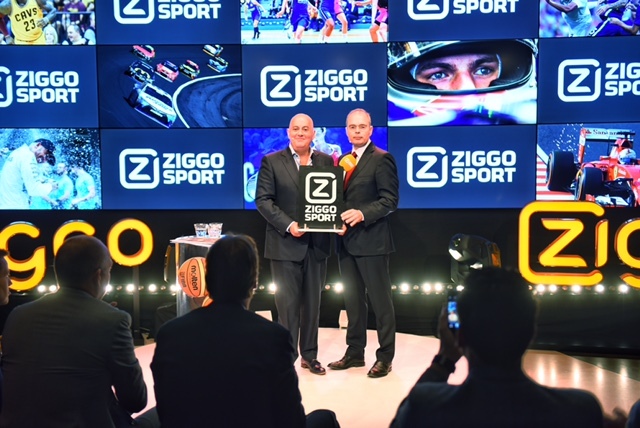 The premium channels will be rebranded as Ziggo Sport Totaal, which includes Ziggo Sport Select, Ziggo Sport Voetbal, Ziggo Sport Golf, Ziggo Sport Racing and two Ziggo Sport Extra windows. The operator is launching the new channel in order to stop people from cancelling their cable subscription – at the moment KPN is gaining IPTV customers at the expense of Dutch cable operators. KPN’s marketing also includes offering exclusive content to its subscribers. Ziggo will offer the channel to its 4.2 million customers, and will be ad-supprted. Triade Media will handle the sales. Ziggo is now countering these moves by offering a ‘free’ sports channel in addition to its My Prime VOD service, which is available free to most Ziggo customers. “We have over the past year merged two regional companies [UPC and Ziggo – ed] nto one national cable and media company. We did this because we want to be able to offer our customers in the coming years better products, services, content and innovation,” said Baptiest Coopmans, CEO of Ziggo.